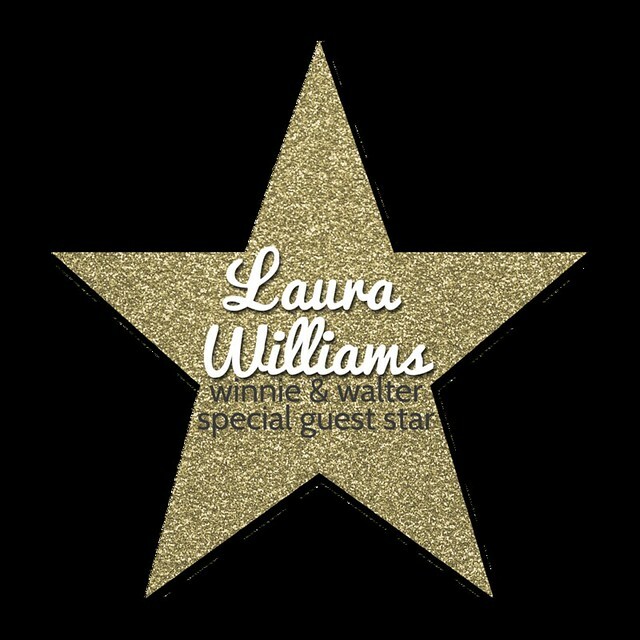 We are so excited to be featuring our next special guest star, Laura Williams! She's so incredibly warm, friendly and supportive in addition to be being amazingly talented. She's created some lovelies with w&w products before. Check out her amazing Halloween projects HERE and HERE (maybe this will inspire you for Halloween next year or you can take her ideas and adhere them to another non-Halloween themed project). Please give Laura a very warm w&w welcome! Hi there crafty friends!! I am excited to be here to help celebrate the 1st Birthday Bash at Winnie & Walter! I have been crafting and creating for pretty much as long as I can remember. My style is generally pretty clean and simple, and I like to create approachable designs that inspire people to dig into their stash and CREATE. Don't you love it when you read a blog or magazine that makes you want to sit right down and MAKE SOMETHING? I do too! I've been creating for publications and manufacturers since 2008, most recently working as a Go-to Gal/Contributing Editor for Paper Crafts & Scrapbooking magazine. I hope you'll stop by my blog, Lauralooloo, and see today's project, along with some tips and information about how I created it! HAPPY BIRTHDAY WINNIE & WALTER! CLICK HERE to see the full project by Laura! 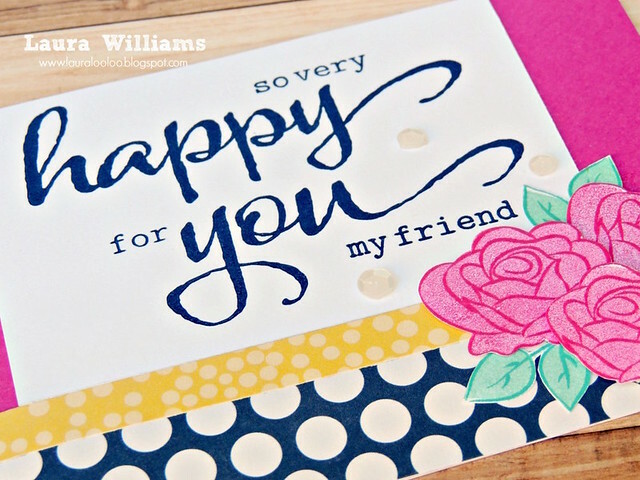 LOVE your roses, sentiment and pretty layers!!! THANK YOU for sharing your CREATIVE INSPIRATION and clever tip about trimming the petals!!! Wow this is such an awesome card I love it. Very pretty Laura and TFS!! Very pretty card, Laura! TFS!!! Adidas in this country has approval from the parent company in Germany to sign up to 250 NFL players (up from its current roster of about two dozen) air jordan australia and up to 250 MLB players (from about a dozen now) and sign even more than the current 65 NBA players. This is expected to unfold over then next three years. King, the former head of TaylorMade adidas Golf who began his new role last June, air jordan shoes australia described other moves the U.S. office plans to make in the near future "to make the brand Adidas more relevant in America – or, Americanize the brand. 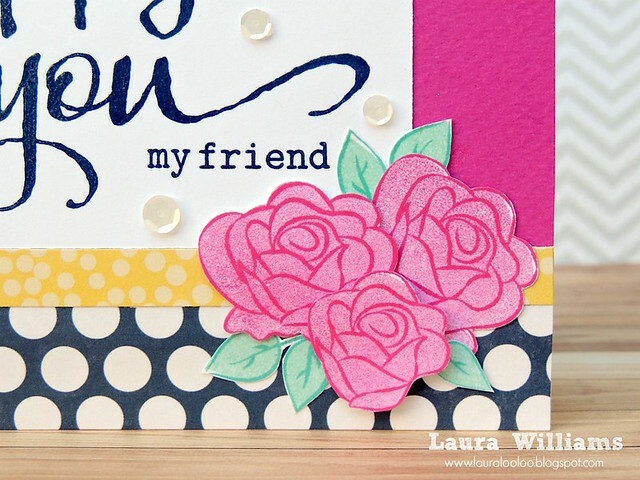 beautiful card Laura... very nice... beautiful flowers..
Great combo of the large polka dots with the floral images. I love the bold and fun colors! !